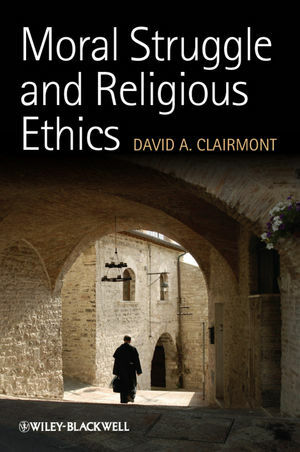 Moral Struggle and Religious Ethics offers a comparative discussion of the challenges of living a moral religious life. This is illustrated with a study of two key thinkers, Bonaventure and Buddhaghosa, who influenced the development of moral thinking in Christianity and Buddhism respectively. David A. Clairmont is Assistant Professor in the Department of Theology at the University of Notre Dame. He is the co-author of American Religions and the Family: How Faith Traditions Cope With Modernization and Democracy (2007). Part I Questions and Contexts. 1 Person as Classic: Questions, Limits, and Religious Motivations. Persons, Limits, and Religious Classics. Classics: questions and limits in thought and action. Religious ethics: interpreting limited persons. The model of person as classic. Classic Persons: Ideas, Practices, and Questions. Bonaventure as mediator of classic ideas and practices. Buddhaghosa as mediator of classic ideas and practices. Moral struggle as classic question. 2 Context: The Symbolic Religious Cosmologies of Roman Catholicism and Therava-da Buddhism. Moral Struggle in Greek, Roman, and Christian Philosophy. Weakness of will and volition in classical philosophy. Law, love, and wisdom in Christian scriptures. Love, sin, and self-examination in Patristic theology. Natural law and rational appetite in medieval theology. Moral Struggle in Indian and Buddhist Philosophy. Universal dharma and individual dharma in the Vedas and epics. Self and world in the Upanis.ads. Moral perfection in the Buddhist Nika-yas. The Symbolic Religious Cosmology of the Trinity. The Symbolic Religious Cosmology of Buddhist Abhidhamma. Constitution of persons: aggregates, characteristics, and ultimate realities. The nature of reality and the structure of causality. Intention, volition, and personal continuity in Buddhist Abhidhamma. Abhidhamma and Trinity as Comparative Contexts and Categories. 3 Context: Material Simplicity in Christian and Buddhist Life. Historical Introduction to Material Simplicity. Poverty and avarice in Bonaventure's Europe. Simplicity and sponsorship in Buddhaghosa's Ceylon. Material sufficiency in institutional life. Voluntary poverty in individual life. Wealth, giving, and the sacrifice of purification. On the twofold nature of materiality. Material Simplicity and the Problem of Moral Struggle. Part II Ideas, Practices, and Persons. 4 Bonaventure and Buddhaghosa: From Ideas to Practices. Bonaventure's Continuity with Medieval Debates on the Nature of Will. Buddhaghosa's Manual of Practical Abhidhamma. Bonaventure on the Connection Between Sacrament and Virtue. Buddhaghosa on the Connection Between Morality and Meditation. 5 Bonaventure and Buddhaghosa: From Practices to Persons. Comparing Persons in the Process of Struggle: Two Notions of Person as Classic. 6 Personal Horizons: Moral Struggle, Religious Humility, and the Possibility of a Comparative Theological Ethics. Bonaventure and Buddhaghosa on Personal Struggle. Comparative Theology and Comparative Ethics: A Religious-Interpretive Work. The Methodological Struggles of Comparative Persons: Five Roads of Return. Struggles for a Comparative Horizon: Religious Humility and the Problem of Conversion. Appendix: Some Common Buddhist Lists, Their Relation, and Their Significance in Abhidhamma.